Etiquette Rules! succinctly explains everything you need to know to successfully maneuver the world today; from properly serving high tea, to giving the perfectly tasteful toast. We need only to look around our communities or visit social media to know there is an etiquette crisis. With rudeness rampant and civility on life support, it’s time for of us to take a hard look at ourselves to determine if we are contributing to the problem or combating it. Enter: Etiquette Rules! 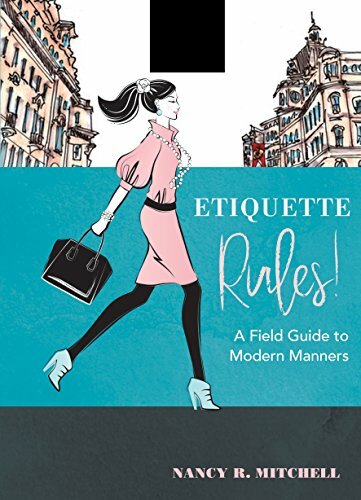 A Field Guide to Modern Manners, a common-sense examination of etiquette as an operating system for living life with kindness and courtesy while we work, play, drive, dine, and shop in our physical and virtual communities. Etiquette Rules!jettisons the old-school notion that etiquette is nothing but stuffy rules on how to properly hold a teacup. Modern etiquette is a powerful tool that can help everyone feel comfortable and confident in a variety of situations, whether you're building personal and business relationships, demonstrating respect for others, or trying to live a life that flow more smoothly. If you have any questions about this product by Wellfleet Press, contact us by completing and submitting the form below. If you are looking for a specif part number, please include it with your message.